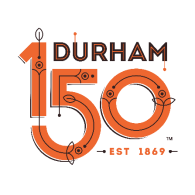 Durham is celebrating its 150th anniversary while honoring the victims of a fatal explosion that happened on its birthday. A statement released by the city notes that some of the planned events have changed. "After this week's tragic event, with the utmost respect for the Lee family and others affected, Saturday will serve as a way for the community to be with one another in solidarity and commend the heroic actions of first responders," according to the statement. "Durham is a place known for its grit and perseverance. On the anniversary date of the City's incorporation, first responders and the community showed how it is #BullCityStrong in the face of great adversity and sadness." The downtown Durham explosion happened after a gas line was cut. Kaffeinate coffee shop owner Kong Lee, 61, was killed in the explosion and 25 other were injured. Celebration organizers say that Saturday's celebration will remember the victims and honor the heroic response of police, firefighters and medics. The coffee shop owner killed in a North Carolina gas line explosion was last seen in the doorway of his business after firefighters evacuated his customers and told him to leave, as well, the fire chief said Thursday. Durham police and fire officials confirmed one fatality from a gas explosion in downtown Durham that destroyed one building and severely damaged four others. The injury count from Wednesday's explosion in downtown Durham that killed coffee shop owner Kong Lee increased to 16 civilians and nine firefighters, officials said Thursday morning. In addition, 15 buildings were determined to have sustained some damage.